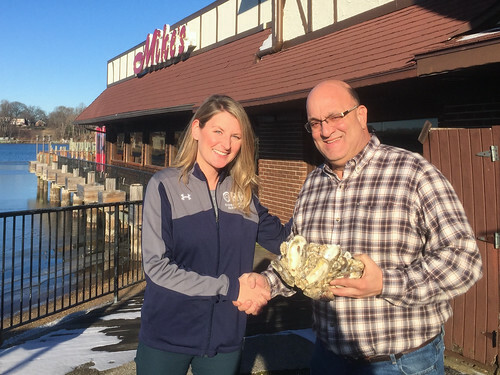 The Oyster Recovery Partnership’s (ORP) shell recycling program collected a record-breaking 1,169 tons (33,400 bushels) of oyster shell from 340 member establishments throughout the Chesapeake Bay area in 2017, illustrating the increasing efforts and commitment of local businesses to help restore the region’s oyster population. The year’s top contributors are restaurants and seafood suppliers in Annapolis, Baltimore, Hunt Valley, Jessup and Washington, D.C. Since the Shell Recycling Alliance’s launch in 2010, ORP has reclaimed 143,000 bushels of shell, which equates to 5,005 tons kept out of area landfills, approximately $300,000 saved by local businesses in waste collection fees, and enough substrate to support the planting of 715 million oysters in local waters. 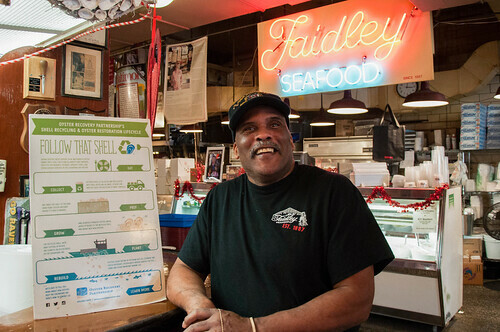 The program is the nation’s largest shell recycling network with 340 member seafood businesses and 61 public shell drop off sites throughout Maryland, Washington D.C., and Virginia. After it’s collected, the shell aged outside for one year, washed and set with spat at the University of Maryland Center for Environmental Science Horn Point Laboratory Oyster Hatchery in Cambridge. 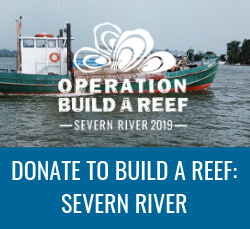 ORP then works with restoration partners to plant the shell and attached spat on reefs throughout the Chesapeake Bay where they will grow and flourish. Oyster shell is vital to a healthy oyster population because it is the preferred material for oyster larvae to attach and grow–with every half shell able to host up to 10 spat (baby oysters). Oysters play a vital role in improving Bay health by filtering excess nutrients from the water, and their reefs create habitat for a multitude of marine life. ORP is the nation’s leading nonprofit dedicated to the large-scale restoration of oyster reefs in the Chesapeake Bay, planting 7 billion oysters on more than 2,400 acres of oyster habitat in Maryland since 1993. On a national scale, shell recycling is becoming a mainstream practice among coastal communities and businesses. 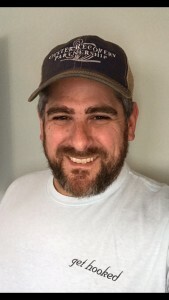 As the public becomes increasingly invested in oysters, groups are establishing their own restoration and education programs, some of which are highlighted here. Businesses and individuals who recycle their shell in Maryland are eligible for a state tax credit of up to $750 annually. Learn more about this free service at shellrecycling.org. To view photos of the top 10 contributors, click here.